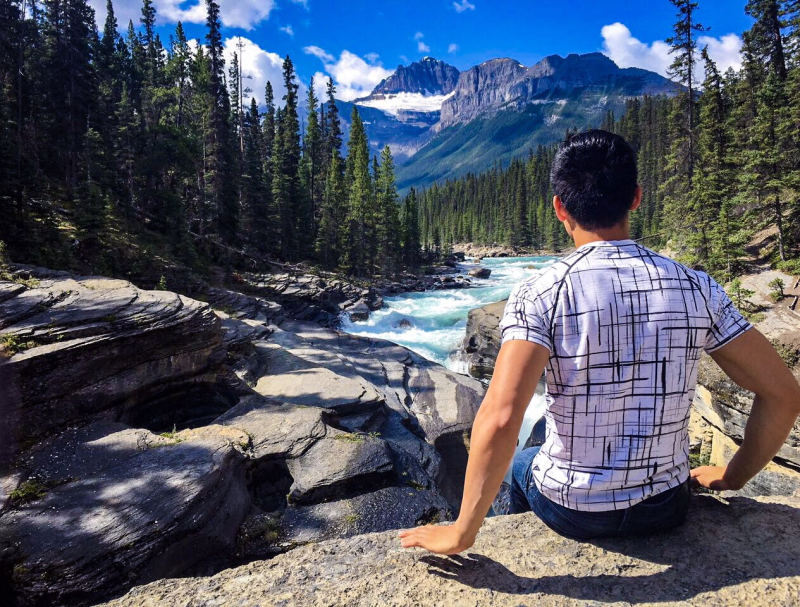 This spot overlooking the Bow River in the magnificent Canadian Rockies is one of my favourite spots of all-time. It really reminds me of how beautiful Canada is - the water was such a bright fresh blue colour, the forest was tranquil green and the mountains were so huge and towered over us on all sides. It was a feeling like nowhere else on earth. I currently live in New York so it's the complete opposite of this picture/memory.... just thinking about it reminds me of the fresh pine scent from the forest near by. I went to the Rockies with my partner who still lives in Canada (long distance) so this trip really reminded "home" and all that Canada has to offer. I cannot wait to see more of my Canada! !